The ski area Oberjoch-Bad Hindelang is known for it’s snow reliability. The pistes are located on the Iseler on an altitude of 1200 m. The cross-country ski runs are equally well groomed to make your winter vacation unforgettable. 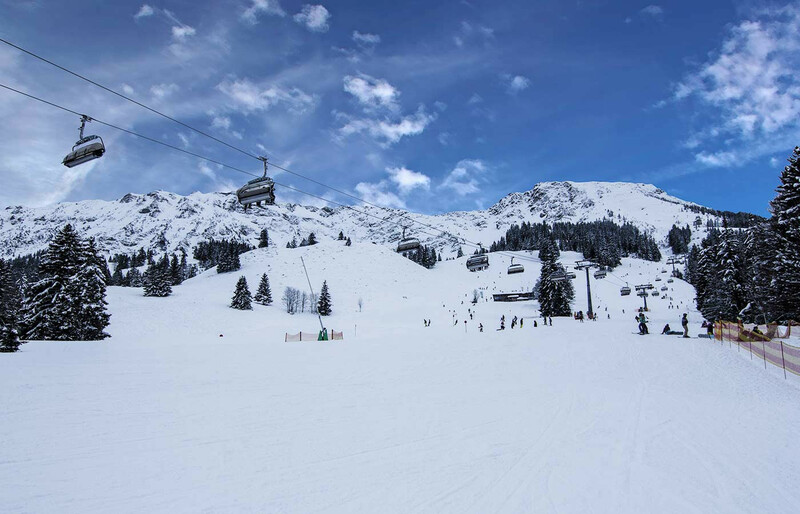 Modern lifts take you to the slopes of the diverse ski area. The pistes range from easy to difficult and there is also a mogul slope. Night skiing is possible in Oberjoch during the week. The Skizenrum Oberjoch also offers numerous cross-country ski runs and a toboggan run. Another asset is that you can reach everything by foot. The youngest are taken care of in the ski kindergarten “Schneekinderland” where an ‘enchanted forest’ with animals awaits them. Get snow reports and powder alarms from Oberjoch straight to your inbox!